Geotalk is a regular feature highlighting early career researchers and their work. 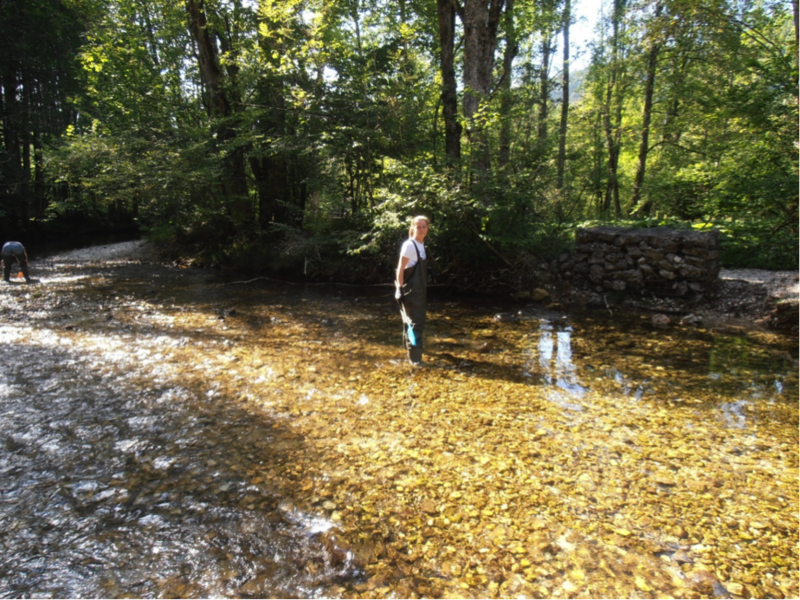 In this interview we speak to Serena Ceola, a hydrologist and assistant professor at the University of Bologna, Italy, who studies interactions between humans and river systems. 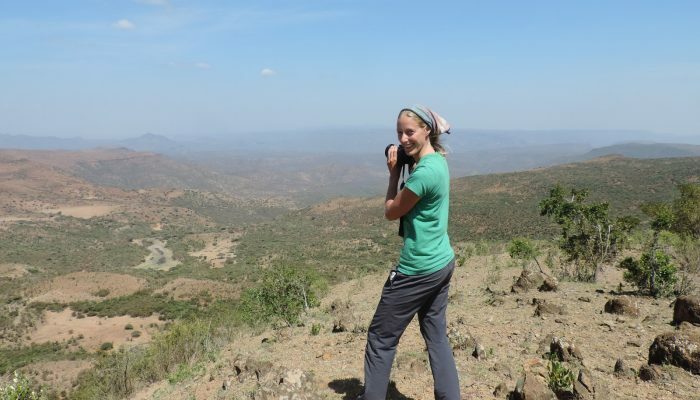 At the upcoming General Assembly she will be recognised for her research contributions as the recipient of the 2019 Hydrological Sciences Division Outstanding Early Career Scientists Award. Thanks for talking to us today! Could you introduce yourself and tell us a little more about your career path so far? I was born in Padova, Italy, and studied environmental engineering at the University of Padova, from which I obtained a master’s degree in 2009. Since my bachelor’s studies, I was fascinated by hydrology: both my bachelor’s and master’s thesis dealt with the availability of river discharge, which is the amount of water flowing through a river channel. 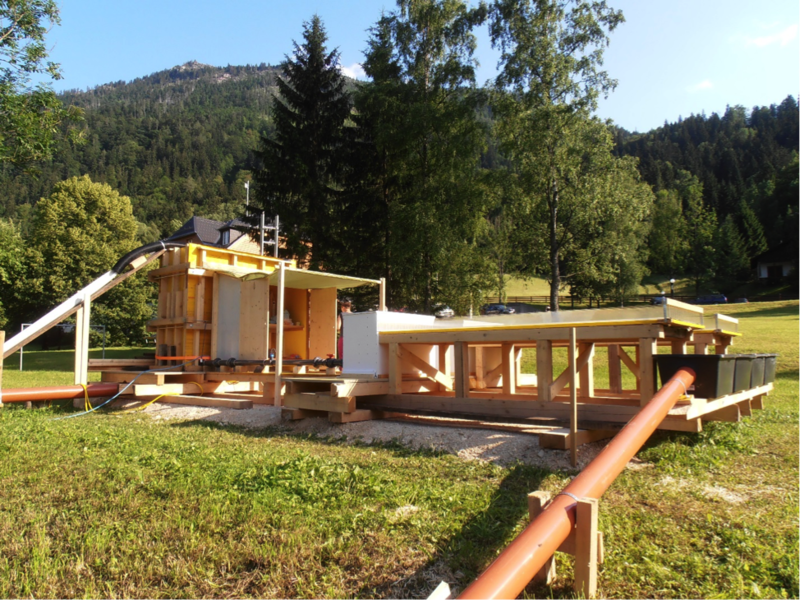 Then, in 2009 I moved to Lausanne in Switzerland and I continued my studies with a PhD at the Laboratory of Ecohydrology of the École Polytechnique Fédérale de Lausanne (EPFL). My PhD thesis focused on the implications of river discharge availability on river ecosystems (namely algae and macroinvertebrates). Since 2013, I have been based at the University of Bologna, Italy, currently as a junior assistant professor. Now my main research project focuses on the relationship between river discharge availability and human activities, both at local and global scales. What got you interested in environmental engineering and hydrology? What brought you to study this particular field? Studying environmental engineering was the perfect trade-off between being an engineer and focusing on environment sustainability and protection. During my studies I have developed a forma mentis that allows me to quantitatively solve (or try, at least) any issue. Since I was always fascinated by water, hydrology was my ideal choice. I must also say that my professors played a key role: their enthusiasm and passion overwhelmed me, involving me in such a fascinating subject. At this year’s General Assembly, you will receive the Outstanding Early Career Scientists Award in the Hydrological Sciences Division for your contributions to understanding of the relationship between river environments and human activities. Could you tell us more about your research in this field and its importance? River discharge has always been my main research focus. During the last 10 years, I had the unique opportunity to focus on the possible implications of river discharge . Human activities, such as dam development, deforestation, agriculture, urbanization, etc. are known to affect how much flowing water is available to river ecosystems. In particular, I realised that no one before had conducted a quantitative analysis of how human-derived modifications to the natural flow of a river could possibly affect its environment. 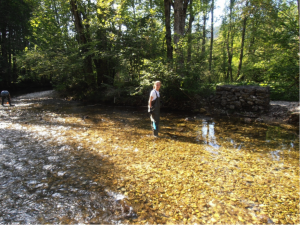 stream algae and macroinvertebrates respond to two flow regimes, one influenced by human activity and one unaffected. The unaffected river regime was naturally variable while the other was constant, like downstream a dam. The experimental results were promising, thus allowing me to develop an analytical model capable of reproducing observed biological data in a real river network, also proving its applicability in presence of anthropogenic influence. When focusing on human activities, it is extremely important to estimate the interrelations between humans and waters. Here, I was lucky enough to start working with satellite data measuring the distribution of human population in space and time across the globe. By using satellite nightlight images, I analysed the spatial and temporal evolution of human presence close to streams and river. When considering extreme events like floods, I also had the opportunity to identify the regions most at risk for flood deaths and damage to infrastructure. At the General Assembly, you plan to give a talk about working with global high-resolution datasets, such as nightlight data, to better understand how human and water systems affect each other. What are some of the possibilities made available through this kind of analysis? What doors does this research open, so to speak? Working with global high-resolution datasets, and in particular with datasets covering several years, allows one to analyse and inspect how human processes and hydrological processes have evolved and interacted in time. 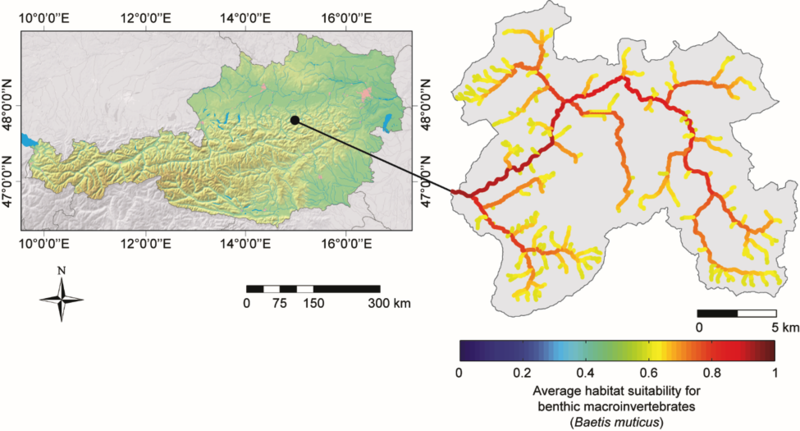 This kind of analysis offers the opportunity to study how human pressure on river flows has changed over time and examine urbanization processes influenced for instance by proximity to rivers. This method also allows researchers to analyze how people move as a consequence of climatic conditions, such as extreme floods or droughts. Before I let you go, what are some of the biggest lessons you have learned so far as a researcher? What advice would you impart to aspiring scientists? Based on my experience so far my first recommendation is “Be passionate!” Since you will spend a lot of time (days and nights) on a research project, it is fundamental that you love what you are doing. Although sometimes it is difficult and you cannot see any positive outcome, be bold and keep working on your ideas. Then, search for data to support your ideas and scientific achievements (although sometimes it is quite challenging and time-consuming! ), but this proves that your research ideas are correct. Interact with colleagues, ask them if your ideas are reasonable and create your research network. Finally, work and collaborate with inspiring colleagues, who guide and support your research activities (I had and still have the pleasure to work with fantastic mentoring people)! 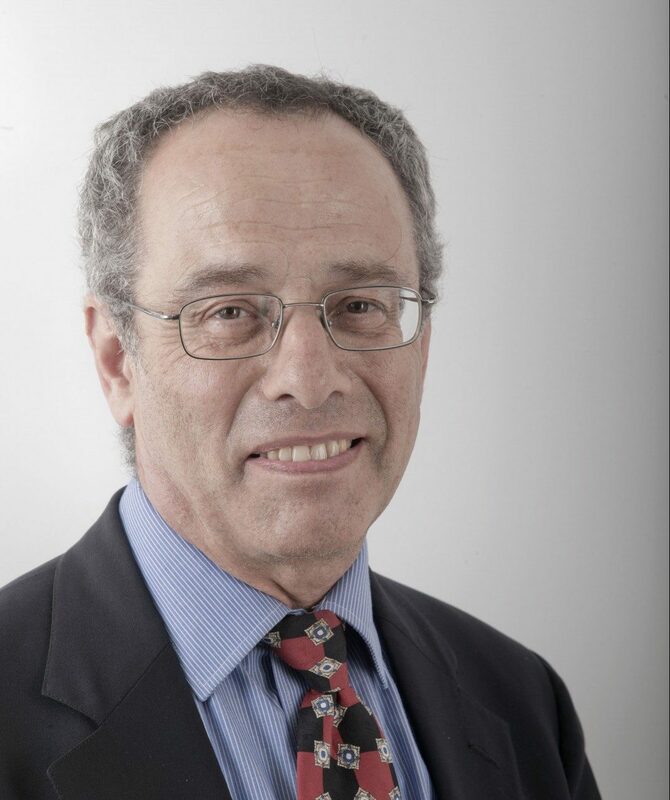 GeoTalk interviews usually feature the work of early career researchers, but this month we deviate from the standard format to speak to Pinhas Alpert, professor in geophysics and planetary sciences at Tel Aviv University and recipient of the 2018 Vilhelm Bjerknes Medal. Alpert was awarded for his outstanding contributions to atmospheric dynamics and aerosol science. Here we talk to him about his career, research, and life lessons he has learned as a scientist. Thank you for talking to us today! Could you introduce yourself and tell us a little more about your career path? I was born in Jerusalem, Israel on 28 Sept 1949. I received my BSc (Physics, Math & Computers) and MSc (Physics) as well as my Phd (Meteorology) at the Hebrew University of Jerusalem (1980; supervised by late Prof. Yehuda Neumann, Head of the Department of Meteorology). Then I did my post-doc studies at Harvard University (US) with Professor Richard Lindzen (1980-1982) and got a position at Tel Aviv University in 1982. 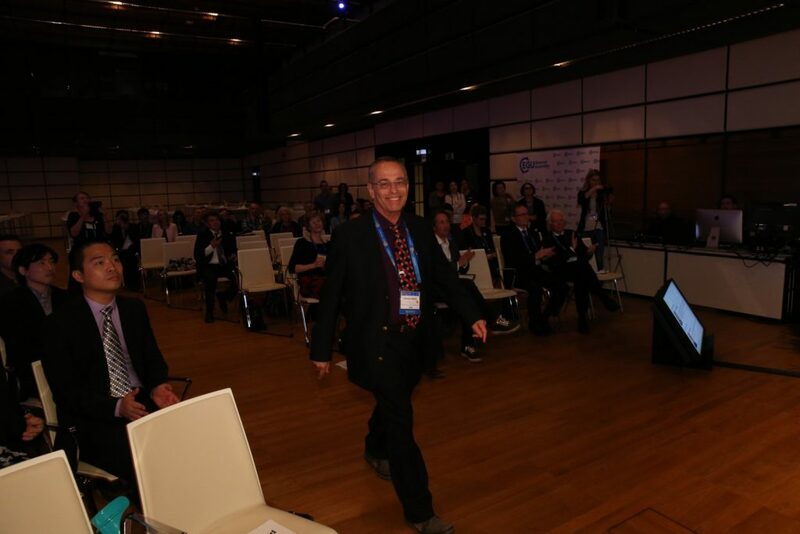 I served as the Head of the Porter School of Environmental Studies, Tel-Aviv University, Israel, from 2008 to 2013, following three years as Head of the Department of Geophysics and Planetary Sciences also at Tel Aviv University. My research focuses on atmospheric dynamics, climate, numerical methods, limited area modeling, aerosol dynamics and climate change. As part of my PhD, I built an atmospheric model, which is used in Belgium (LLN) and Finland (UH) for research. I’ve published three books, and I am the co-author of more than 347 articles (240 peer-reviewed; 107 in books). Some more recent work includes developing with my colleagues a novel way for monitoring rainfall using cellular network data. From this method we were able to create a new kind of advanced flood warning system. I also developed a novel Factor Separation Method in numerical simulations. This methodology allows researchers to calculate atmospheric synergies, and has been adapted by many groups worldwide. I established and head the Israel Space Agency Middle East Interactive Data Archive (ISA-MEIDA). Currently it is called the Israeli Atmospheric and Climatic Data Center (IACDC), which provides easy access to geophysical data from Israel and across the globe. I served as co-director of the GLOWA-Jordan River BMBF/MOS project to study the water vulnerability in the E. Mediterranean and also served as the Israel representative to the IPCC Third Assessment Report Working Group 1. In addition to my research projects and positions I have supervised 42 Master students and 23 Doctoral students; some of them have become professors themselves in universities in Israel and abroad. My current group consists of nine students as well as four post-docs and researchers. I married my wife Rachel (RN) in 1971 and we have eight children and sweet grandchildren (not to count). This year you received the 2018 Vilhelm Bjerknes Medal for your outstanding contributions to atmospheric dynamics and aerosol science, most notably your involvement with the Factor Separation Method and novel monitoring systems. For those readers who may not be so familiar with your work, could you give us a quick summary of your research contributions and why it’s important? The Factor Separation Method, first introduced in 1993, allowed scientists to compute the separation of synergies (or interactions or non-linear processes) among several factors for the first time in a quantitative approach. This allowed researchers to compare for the first time different factors which contribute to some important processes like: heavy rainfall, floods, cyclone deepening, and model errors. The methods have now been applied in many areas of research, including environmental studies, paleoclimatology, limnology, regional climate change, rainfall analysis, cloud modelling, pollution, crop growth, and forecasting. As to our novel method for monitoring atmospheric moisture: science today does not really know well enough how rainfall or moisture are distributed in the atmosphere. This is true for all the world but it is particularly so over semi-arid or mountainous regions. For instance over Israel, a semi-arid region, we have about 100 rain gauges, while data from three cellular companies provide us with about 7000 cellular links from which we can calculate distribution of rain in real-time. Many severe flood events particularly over the semi-arid area of S. Israel have not been monitored at all by the classical approached including rain gauges and radar. My colleagues and I developed a way to monitor such atmospheric conditions that taps into cellular communication networks (the network that lets us use our mobile phones for example). These networks are highly sensitive to the effects of weather phenomena and are widely spread across the world. By using data recorded by cellular communication providers, we found that these networks can provide important information on dangerous weather conditions. For example, in one study published in the Bulletin of the American Meteorological Society we demonstrated that the technique could be used to monitor dense fog events. This is very important since there are no alternative methods to monitor fog on roads and highways, and furthermore they contribute to hazardous weather in which often hundreds of cars may be involved. At the 2018 General Assembly, you gave a medal lecture on your personal perspective on the evolution of atmospheric research over time. What are some of the biggest lessons you have learned as a researcher? the message from your research came too early. For example, the Italian scientist Amedeo Avogadro first proposed the existence of a constant number of molecules in each kilomole of gas and calculated this number (6.022×1023). However, he was ridiculed for it, and only after he passed away was it accepted by the scientific community. Now every student must learn the Avogadro number in any basic thermodynamics course. the message was not clear or strong enough: When we are sure about our finding we must be strong in our statements and not too modest. Otherwise, the scientific community assumes that what we claim in our article is only a conjencture. the message was not given the right exposure. For example, in 1778-9 the French scholar Pierre-Simon Laplace was the first to develop the mathematical terms the Coriolis Force, an important term in physics that explains air acceleration due to Earth’s rotation. However, it was until 60 years later that the French mathematician Gaspard-Gustave Coriolis gave these terms their physical meaning, i.e. that air-parcels in the Northern Hemisphere for instance turn to the right due to the Earth rotation. And, this was the main reason why these terms were called after Coriolis and not after Laplace. I also discussed whether researchers should invest their time in a concentrated topic, or spread their interests. A common question in atmospheric research, which is particularly bothering early career researchers, is which of these primary three directions should they choose to follow: 1. theoretical approach; 2. analysis of observations and 3. Employ atmospheric models. One option is to spread your efforts in two or three of these directions. while the more easy approach is often to focus on only one of these three routes. My take-away message during my talk was that, while it certainly more difficult to spread your research to 2-3 of these pathways, it is a very personal decision. There is no right answer that applies to everyone, and your choice depends very much on your personal preference. Remember to do the research that you love the most. Recently, the IPCC released a special report on the consequences of global warming and the benefits of limiting warming to 1.5ºC above pre-industrial levels. You had mentioned that you served as the Israel representative to the IPCC Third Assessment Report Working Group I. What would you say were some key lessons learned from contributing to an IPCC report? Do you think it is important for researchers to be involved in the policy process? One of the most amazing things I have learned from my participation there was how much politics and debate are involved there. There are a lot of negotiations between the representatives of the various countries, who sometimes spend hours on the wording of sentences. Yes, it is very important for researchers to bring the messages from their work to decision makers. However, this should only be done when you are convinced that your results are important for the society. Hence, it is my opinion that early career scientists should focus more on promoting their science and be less involved in the policymaking process. Without a strong scientific backing, it may interfere with your research. Again, here as well, the decision should be strongly based on your personal feelings. In addition to the usual GeoTalk interviews, were we highlight the work and achievements of early career scientists, this month we’ll also introduce one of the (outgoing) Division early career scientist representatives (ECS). The representatives are responsible for ensuring that the voice of EGU ECS membership is heard. From organising short courses during the General Assembly, through to running division blogs and attending regular ECS representative meetings, their tasks in this role are varied. Their work is entirely voluntary and they are all active members of their research community, so we’ll also be touching on their scientific work during the interview. Today we are talking to Alena Ebinghaus, ECS representative for the Stratigraphy, Sedimentology and Palaeontology (SSP) Division. Alena has been in post for more than 20 months, but her term comes to an end at the 2019 General Assembly. Interested in getting involved with EGU and its activities for early career scientists? Consider applying for one of the vacant representative positions. I was fascinated by geology long before I started studying, and it was volcanoes that got me hooked initially. Being originally from Hagen in Germany, I went to study geology and palaeontology at the Rheinische Friedrich-Wilhelms Universität in Bonn, from which I obtained a Diploma (=MSc) degree in 2010. 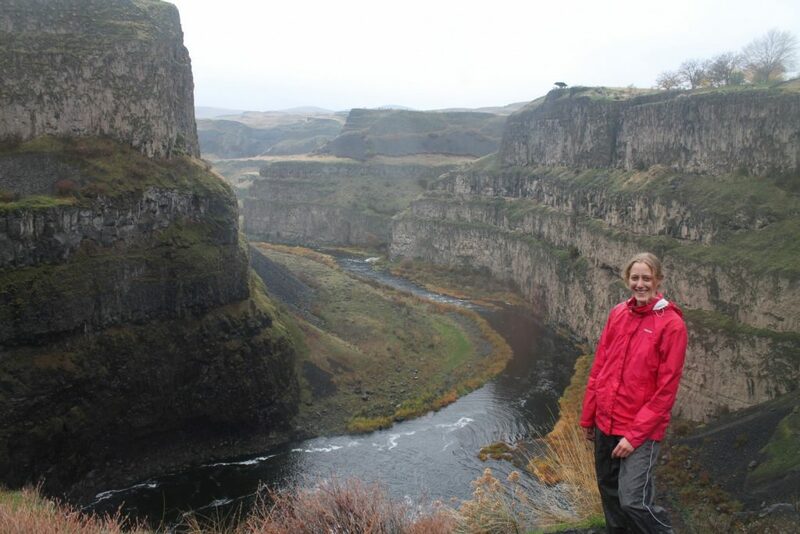 I continued with a PhD at the University of Aberdeen, in the UK, where I focused my research to inter-lava drainage and plant ecosystems in the Columbia River Flood Basalt Province (USA). I haven’t settled my studies in volcanology after all, but sedimentological and palynological (largely pollen and spores) studies set in a volcanic environment was the perfect balance for me. I am still based in Aberdeen, and since 2014 employed as a postdoctoral researcher. Now my main research projects are the assessment of sedimentary and plant ecological response patterns to rapid climate change of the past. I look at sedimentary rock records from the Cretaceous–Paleogene Boltysh meteorite impact crater (Ukraine) and the Palaeocene–Eocene Bighorn Basin (Wyoming). These two locations were witness to rapid warming events and hold geological clues to how the environment responded to these changes. The ECS representative is the anchor point between the early career researchers and later career researchers. 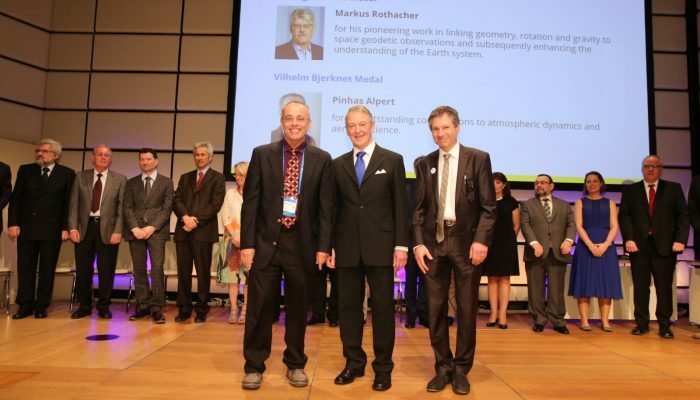 Within the SSP community I communicate the matters and interests of the ECS to the SSP division and the wider EGU community, and help to connect the work and engagements of early stage scientists with those of a later career stage. With the help of a small group of other ECS, I coordinate and take care of the SSP social media Facebook and Twitter accounts. I also try to set up social events and help organize short courses during the annual General Assembly (GA). In the particular case of the SSP division, I have coordinated the set-up of the division’s weblog. I was keen to get involved and integrate with the SSP community and the EGU in order to widen my academic network and to become a more interactive GA participant. The GA is a large conference – I wanted to have the opportunity to meet a lot of people and help organize events rather than being a somewhat passive attendant. What is your vision for the Stratigraphy, Sedimentology and Palaeontology Division ECS community and what do you hope to achieve in the time you hold the position? I see the SSP growing further and particularly the ECS community becoming more inter-active with organizing SSP-specific scientific and social events similar to some of the larger divisions within the EGU. The first couple of times I joined the GA I felt rather lost, and was not quite aware of ECS work, nor did I meet other SSP ECS. Bringing the SSP ECS community together and making their engagements more visible so to better approach other ECS is one of main objectives. What can your ECS Division members expect from the Stratigraphy, Sedimentology and Palaeontology Division in the 2019 General Assembly? First of all, the SSP division again offers again a great range of scientific sessions, but I am also planning a couple of social get-togethers which shall be particularly interesting for those attending the GA for the first time. As every year, there will be the opportunity to meet the SSP president and to join the division’s meeting which is open to all SSP members. With a group of other academics, I will be convening a short course to discuss the balance of work and personal life in science – a topic addressed to researchers of all career stages within SSP and naturally beyond. For everyone being interested in SSP work, it would be best to either get in touch with myself, via email or Facebook or the SSP president. We will be more than happy to assist and answer any questions. This blog post features an interview with Petra Fagerholm who is currently leading the team on public relations and outreach in the communications department of the European Environment Agency (EEA). Petra gave a presentation about the EEA during the Science for Policy short course at the 2018 EGU General Assembly. In this interview, Petra describes her career path, what it is like to work at the EEA and provides some tips to scientists who are interested in a career in an EU institution or who would like to share their research with policymakers. My name is Petra Fagerholm, I have worked at the European Environment Agency (EEA) in Copenhagen for 14 years. Currently, I am leading the team on public relations and outreach in the Communications department. 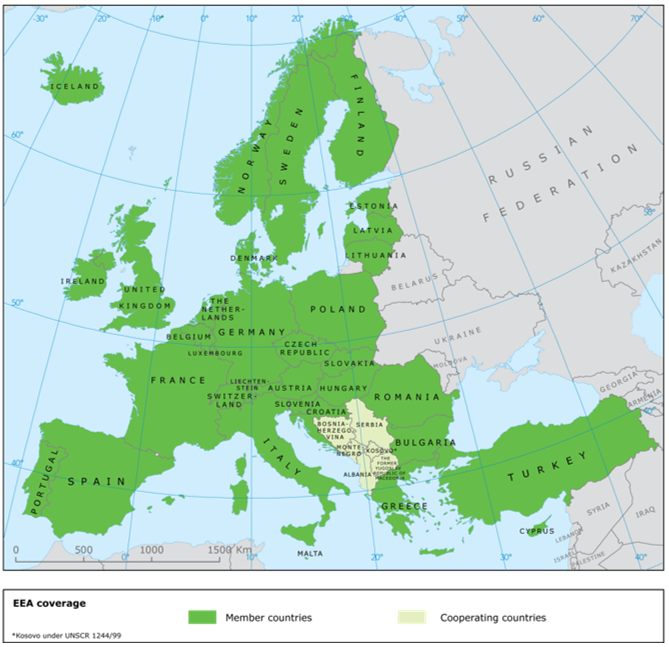 The EEA is an EU agency, which was set up in 1993 to inform the policymakers and the citizens about the status of the environment and to contribute to sustainable development. In addition to the headquarters, a ministerial level expert network across Europe was also established. This network is called “Eionet” and it ensures dataflows for reporting and quality consistency of the assessments we produce. How does the EEA use science and research? Experts at the EEA use science and research material when producing reports, briefings and assessments. The EEA translates science into tailor-made knowledge needed for policymaking at a European level. How did you become the Head of Group for Public Relations and Outreach at the EEA? I studied Biology at the University of Helsinki, in Finland, where I come from. My University pathway was far away from communication and environment. After a year of exchange at the University of Neuchâtel, Switzerland, I became really interested in human physiology and subsequently I graduated a couple of years later from the University of Strasbourg with a French DEA degree in Neurosciences. I was part of the research group on visual psychophysics when Finland became a member in the EU. Finnish politicians were hiring assistants and out of curiosity (and being young… and fearless…), I applied and got the job. I think the drive for change came from the fact that I felt my research topics and hypothesis were very difficult to solve and funding was hard to get in the area of fundamental life sciences research. I aspired to be part of the new “European Project” for Finland. After my job at the European Parliament, I was lucky to be recruited on a short-term contract at the European Commission as Scientific Officer in the area of Neurosciences. After a break of 1 year during which I was pregnant with my daughter, I worked for 2 years at Merrill Lynch Investment Bank in London. During that period, I came across the announcement for recruiting new staff at the EEA. At the EEA, I started at the Executive Director’s office working on strategic coordination and on several short-term projects in the field of sustainability. I have always been keen to lead and support others in their career. I lead the support team in that office for 8 years. After 11 years in total in the director’s office, I was ready to change career and was lucky to be transferred to the communications department. My new tasks were to develop stakeholder approaches to support the communication framework at the EEA and continue to lead the team of outreach. My career path is far from a straight line. I have more often let my heart lead rather than my head on career decisions. People I have met over the years, or more precisely bosses I have had, have helped by always giving me a sense of freedom in my tasks, trusting and believing in me. I have avoided staying in a job where I did not feel my skills were valued. What is your average day like in the EEA office? An average day is when I interact across the organisation with experts seeking their input or advice into a stakeholder project I am doing. It can be either enquiring about stakeholder consultations of a report published or developing a programme for a visiting group coming to the EEA. I catch up with everyone in my team on a daily basis to sense if everything is ok. My boss is easily approachable and I speak to her every day. Twice a month I organise a strategic communication meeting for the Communication colleagues where we share information on production, launches, press, speeches and project across the EEA. Sometimes I receive a visiting group from a university or a ministry. People from across the world contact us to ask for a visit. Usually I kick off the programme by giving a presentation about the EEA after which I am joined by a couple of experts on a specific topic that the visitors are interested in. I like to lead a team and see how the members complement each other’s competences. Allowing each team member to use their full potential and develop new skills is rewarding to me. Working in a European body and for the environment feels good. I believe the EU is the biggest peace project in the world. I find it challenging when it is difficult to measure the real and tangible impact of outreach or communication. It is also sometimes difficult to prioritise activities and to work within the limited resources we have available. Sometimes we cannot avoid influences from geopolitical storms – it is hard. Europe is about working together and building bridges for everyone. What advice would you give to a researcher who is interested in a career with the EEA or the EU more broadly? Firstly, you have to be an EU national to apply to the EU institutions. At the EEA, we have 33-member countries and you have to be citizen of one of these. If you see an interesting job advertised in the EU institutions or EEA, apply as many times as you want. Read up on EU affairs – it will make a difference in the interview. Apply for jobs in national ministries or institutions – it can sometimes be a gateway to finding a short-term contract as a seconded national expert in the EU or at EEA. Look for a job in an EU lobby organisation who could benefit from your specific research. Do you have any advice for scientists wanting to communicate their research with policymakers? Less is more. Policymakers will find your research useful if you have concrete examples on how to contribute or solve some of the challenges a policymaker faces. Use easily understandable language in your communication material. One A4 page is a good length for anything. Is there anything else you’d like to say or comment on? Surround yourself every day with people who are positive and who give you energy and pull you up. Believe in yourself and in your passion for what you do. Be proud of the choices you have made and trust in those you will make. There is a reason for everything.